In a global debut at CES, Honda unveiled its Riding Assist technology, which leverages Honda’s robotics technology to create a self-balancing motorcycle that greatly reduces the possibility of falling over while the motorcycle is at rest. Rather than relying on gyroscopes, which add a great deal of weight and alter the riding experience as announced by other companies, the Honda Riding Assist incorporates technology originally developed for the company’s UNI-CUB personal mobility device. 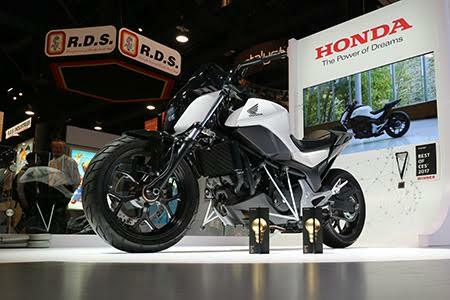 Honda Riding Assist is Honda’s proposal to make touring and everyday use of motorcycle more fun.